Are you earning the respect of your readers? Think about it – there is an almost infinite number of articles on the web – so what should you focus on in order to compete with this massive amount of knowledge? In a nutshell: Earn the respect of your readers. Regardless of whether you write about Multi-Level Marketing or selecting the best toaster for the money, your primary objective should be to educate and enhance the reader’s knowledge by using your particular expertise on a specific subject. When you make this your primary goal when submitting articles, you will undoubtedly earn the respect of your targeted reader. You’ll provide them with a great user experience and leave them with a long-lasting positive impression that will no doubt bring them back for more. Surprisingly, many authors don’t realize this simple truth. They submit articles without considering the reader first, resulting in keyword-stuffed derivative content that is not only hard to read but also holds no value (aside from SEO purposes) for the reader. We firmly believe that the reader’s experience should come first and foremost in your mind anytime you write an article. So we’ve come up with (3) tips that will help steer you to making reader-centric decisions when writing your articles. Understanding these concepts will bring you one step closer to earning the respect of your reader. Let’s say you are writing an article about pizza. It is your duty as the author to actually inform the reader about pizza. You do not want to write 400+ words of content that essentially says, “Pizza is good. Many people like pizza. Some toppings people like on pizza are pepperoni, olives, sausage, anchovies, etc.” In other words, don’t provide basic knowledge on your subject that any 5 year-old could spit out just to promote your site. You need to challenge your reader. Prove your expertise on the subject by keeping them engaged with entertaining and thought-provoking content related to the subject – content that few people know. When writing an article, do not think that just because you are the author and they are the reader, that they will believe anything you tell them. Writing an article does not give you permission to make things up just to validate your point. You never want to insult the reader’s intelligence by trying to convince them of something that doesn’t have any factual grounds just to get your idea or product across. In other words, don’t say that there is a scientific study that says 97% of the world’s population prefers herbal remedies over visiting a doctor when you know that the information is false and there was no such study done. Or don’t say you’re a doctor just so the reader takes you more seriously. In most cases a reader will know by what you’re saying and how you’re saying it if in fact you have a PhD or not, regardless if you put it after your name in the resource box. You want to take the reader, and your obligation to them, more seriously. You don’t have to be a doctor or have a Master’s Degree for them to benefit from what you have to say. Remember, you obviously have key information that they can benefit from or you wouldn’t be submitting an article in the first place. Use your writing skills and experience to win them over, not false titles and fictional attributions. So, you’ve written a great article that is sure to provide thousands of readers with useful knowledge on a particular subject. That’s great! But to truly earn the respect of your readers, you can’t stop with the article. Don’t submit an exceptionally well-written piece only to provide links to poor websites that result in a poor reader experience. Your links should direct your readers to websites that are just as informative and useful as your articles. The site’s content and subject matter should correlate with that of the article. Link to sites that are both visually appealing and informative. Remember, if they’re reading your article, they are interested in your area of expertise and what you have to say, so don’t let them down by sending them to a spammy affiliate page or a site full of ads. And don’t forget to double check your links! Make certain that they are all working correctly and the sites are functioning properly. No matter how great your article is, it does you no good if it leads nowhere. Article Marketing is so much more than a method of driving traffic to your site. It’s also an opportunity to touch the heart and mind of your reader while also building your credibility as an Expert Author. In the end, earning the respect of your readers benefits everybody. Your readers gain new information and insights while you gain exposure, credibility, traffic and conversions. Just make sure you keep up your end of the deal. Now take a few moments to stop and think about what you can do to earn the respect of your readers. Then put those thoughts into action by writing and submitting a fresh set of original, respect-earning, expert articles. As always, we’d love to hear from you, so feel free to leave a comment. Well said Penny. SEO and link building is important but not as much as appealing to the hearts and minds of your readers. Hi, Penny – Thanks for the terrific encouragement. I completely agree. When I write, when I speak, and when I teach my goal is to provide material that will be of value to my audience. My considerations focus on what’s important to them. You’re right, Penny, it’s all about the audience. I especially liked the part about “touching the heart and mind of the reader”…something we all need keep in mind. I agree. Thanks for the advice and encouragement. I definitely want my readers to walk away with insight and not fluff. I won’t disappoint you in any way in the future. Writing for an e-tail product has been difficult for me from the very beginning. I’m grateful that you have addressed this issue and for the wisdom. For great keywords I use the keyword tool that’s free from Google. 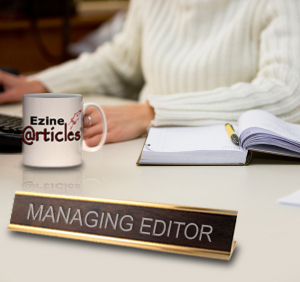 Thank you for the great post and the advise to create quality articles and content. In regards to your point about website links that work, it is interesting to see so many links from great articles that lead to dead domains and websites. Article marketing is a way to generate “long term” traffic, you just need to have the patience to see how effective it is. Thanks again. I tend to write too factually and that makes the reader feel that I’m bragging. I have to learn to write with the emphasis on what can I do for you. The facts can come later. I think changing my style will help me relate to my audience. Great information ~ I will certainly keep this in mind when writing my next article. Thanks! “touching the heart and mind of the reader”, thank you Penny ! Yes, Penny, what you are saying is true. But when I write my articles I hope the reader will get some great information because what would be the sense to even send them in to EzineArticles? I write from experience, so that is all what I have to say. Nothing made up but all true. Dear Penny, thank you for these informative tips! good tips make the readers clever and not make disturb them. That is the whole idea about the internet,to search for and see good and useful information. Authors should learn to put quality in their writing. Isn’t that what makes a person an expert? High quality relevant content that engages the reader is the key to successful article marketing. I found it tough to gain readers when I write regional real estate articles…but I think that keeps my target audience more precise. Hi Vera, If you go into Word, click the “Tools” and “Options” You’ll get a box with a bunch of tabs on it (depending on your version of Office this might be a little different) click the tab for “spelling and grammar” and make a check mark in the box that says “show readability statistics” And then click the OK button. Whenever you do a spell check, after the spell check is done you’ll get a Readability stats pop-up. It will tell you number of words, paragraphs, and at the bottom the Flesch-Kinkaid reading level will appear. This number represents the grade level that is required for reading it. for example a 9.1 reading level means 9th grade. Anything from 8 to 10 is good for general audiences and content. Thanks Robert,I activated it right away. My version also gives scores for, “Flesch Reading Ease” and “Passive Sentences”. The first is a 100 point scale considering the number of syllables per word and words per sentence The higher the score the easier it is to read. The second is the % of Passive vs. Actively worded sentences. That last bit was for Word 2003, for Word 2007 it’s similar. Go to the start button (top right) and click that, then go to the “select word options” (lower right) and go to “proofing”, then “check” the readability stats, then OK button. you’re set. from there it works the same. After a spell check, the readability window pops up. Hope that helps! Lets not forget that people come to this site hunting for articles they can republish. Higher quality articles are more likely to be republished by others, thereby increasing the authors reach. Great way of putting it, Penny! I think that while SEO optimizing your articles are important, it’s not as important as really engaging your readers in a unique experience that they won’t find elsewhere. Along the way, we kinda lose the sense of writing articles – that we’re writing them because we’re interested in writing and attracting like minded people to contribute to a thought, idea or question, and not just making an income online. Just a thought from a passerby. Far too many people focus on trying to touch the credit card of the reader. It’s tough to do without building trust. I wrote an article on this subject. You can click my name to read it. I have been contemplating writing a few articles, and today when I read the above advise, it hit a home run. I feel very obligated when I write anything someone else is going to be reading. And its a fact that your readers, whether its your family or someone on the otherside of the world, will know if you’re jerking their chain or not. In other words I think it would be good sound advise for every writer to read this tid bits of information. I have seen so many articles that didn’t take in to consideration the reader probably knows a good deal of information about the subject he’s researching. He might not have all the answers, but he does in fact have knowledge. Thank you for taking the time to address this issue to your writers and subscribers. I enjoyed reading it. And it will be useful for me any how in the long run.